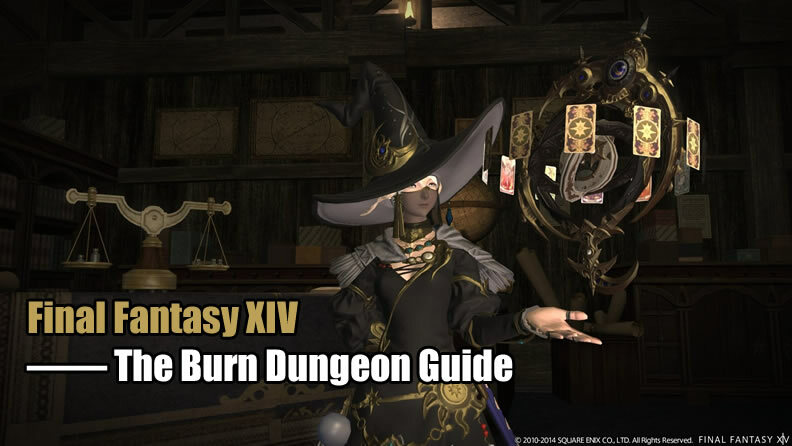 Now within the Final Fantasy 14 patch 4.4 major story quests, you will unlock The Burn relatively rapidly, and you will be able to hop in proper away so extended as you're rocking a typical item amount of 340. In the event, you thought The Burn looked a bit like Snowcloack, the similarities do not end there. Hedetet, the dungeon's 1st boss, is often a throwback to Fenrir. You will notice four glass-like shards poking out the ground as you enter this fight. You'll desire to maintain an eye on them. Like the spikes from Snowcloak, these will explode at specific intervals and be replaced all through the fight. You'll need to hide behind them for moves like Hailfire and Shardfall and move out of their firing path as soon as they're hit as they will explode within a tiny radius. Not hiding behind a spike for Shardfall will likely be an immediate KO for most celebration members, so watch out for that a single. Hedetet will rely on a move called Crystal Needle to deal higher spike damage for the tank. This really is the only tank buster you will need to have to truly be concerned about it. Besides that, just keep attacking and you shouldn't have a lot of trouble here. Usually, having enough Final fantasy xiv gil can make things easier. Extra of a challenge than the name lets on, this is a rapid-fire fight within a smaller arena. Defective Drone will get started points off with Aetherochemical Flame, a strong and unavoidable party-wide AOE. Healers will need to keep large heals out there for this if it strikes at a poor time, so preserve your celebration topped up. Aetherochemical Coil can be a wide tank buster you will like to watch out for. Remain behind constantly. Just before extended, the text will seem to alert you to the appearance of Auxillary Drones. Defective Drone will shoot off for the east or west in the region and come back having a few buddies. Every drone will line up to cover the tracks on the arena and countdown before charging towards the other side. The trick right here is usually to quickly run more than to the 1 track using a drone not currently counting down. You will not die by failing this, however, it will hurt. Apart from that, you'll just need to watch for the text signifying the spawn of Rock Biters. These floating buzzsaws will appear periodically throughout the fight and fire forward across the arena right after some seconds. These will appear in the course of an Auxiliary Drone phase, too, so you'll adjust your position to prevent two mechanics simultaneously. Just retain calm, dodge, and kill. An extremely healer-intensive fight, Mist Dragon is more than just a reskin of a mob we've noticed lots of instances before. Rime Wreath is definitely an unavoidable AOE you will be seeing lots of for the next handful of minutes, so healers will need to help keep lots of mana on reserve for wide heals. Regen and shields are going to be great tools here. Fog Plume is often a star-like attack dropped on a randomly chosen target. Stay clear of the initial influence and after that be ready to step out from the telegraphed attacks that fire outward. At around 60% HP, Mist Dragon will run for the center in the arena to cast Vaporize, disappearing and spawning three Draconic Regard and one Mist while the dragon slowly builds up a party-wide AOE. Killing the Mist strengthens the attack, so leave it alone and immediately dispatch the three Draconic Regard mobs to cancel the cast. If you miss this, you'll all be frozen when the Mist Dragon fires a devastating ice blast as a random party member when you sit and watch. Now everything comes thick and quickly. Fog Plume will strike various targets, along with the subsequent Deep Fog will render the whole arena inside a thick fog. Spread out, pop Sprint, and be prepared to dodge a wide straight-forward swoop from any path. Having caught inside the blast will result in a frozen ally that should require to be free. Mist Dragon will them influence the ground, pushing the group away from (but not off) the arena for proximity-based damage - so run away. The final phase becomes a series of Rime Wreath AOEs, targeted frost breaths, Fog Plumes, and lingering frost on the ground. Spread apart from one another to avoid stacking harm and prepare to pop any defensive cooldowns you must make your healer's life that considerably simpler.